Lovely home located on the beautiful Island of Tierra Verde! The entire family will enjoy this massive Florida ranch. The living space features four bedrooms, three full bathrooms, open kitchen and dining, and a huge family room at the back of the house. The family room leads you outdoors to your private oasis which includes a large welcoming pool & spa. Plenty of entertaining space inside and out. Newly installed solar panels keep the electric bill low at all times. The home is equipped with newer hurricane grade windows throughout as well. The home also includes a generator just incase you lose power. This very energy efficient home ensures that you will live safely and comfortably for many years to come. 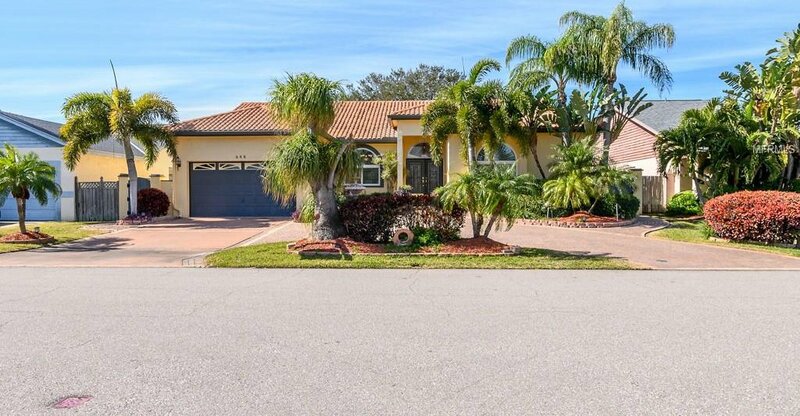 The location of this house is perfect for the Florida lifestyle. Live the island life with beautiful beaches and luxury marina's within minutes of the property. Just a short drive to the East and you'll run right into Downtown St. Petersburg where all the trendy restaurants and night life awaits. Don't miss your opportunity to make Tierra Verde your new home! Listing courtesy of BRAINARD REALTY. Selling Office: SMITH & ASSOCIATES REAL ESTATE.